If you’re looking for best premium WordPress plugins to improve your sites, you’re in the right place. WordPress is used by almost 18% of the Internet users, it is the ONLY content management platform that offers exceptional features to its users. One of the great things about using WordPress is that you will have access to thousands of plugins (ranging from premium to free). As of now, they have over 33,000 free plugins available on their plugin directory excluding the premium plugins. Why Use Premium WordPress Plugins? So when you have access to so many free plugins, why should you consider using premium WordPress plugins? That’s a great question. If you are really serious about making money online, you must invest money on your WordPress sites. One of the best ways to invest your money on your sites is to buy WordPress plugins that add exceptional value. Here are few premium WordPress plugins that are worth paying every penny. Most of the functionalities I imagined about adding to my blog, they all can be easily done through installation of Premium or free WordPress plugins. So here is the collection of my top 20 Premium WordPress Plugins that are worth each and every penny. WP Rocket is considered as one of the fastest cache premium WordPress plugins by SEO experts. Their amazing features like page caching, automatic GZIP compression, Google fonts optimization etc will make your site blazing fast. Here are some of the great benefits of this premium WordPress plugin that you won’t see on other cache plugins like W3 total cache, WP Super cache etc. Bottom line: If you’re running a WordPress site and want to accelerate your website loading time with the use of incredible cache plugin, WP Rocket is definitely for you! WP Rocket vs W3 Total Cache: Which is best caching plugin? No matter what the security threat is, you need to be ready to secure your site. Otherwise, even you’ll suffer like I did (someone injected malicious files to steal backlinks from Bloggers Passion an year ago). Since then, I realised the importance of having a bulletproof WordPress security plugin like VaultPress and started using it. Price: It costs you just $39 per year and worth every single penny you pay! Here are some of the features that you get with this awesome premium WordPress plugin. Here’s how it looks like when you’re restoring your file to VaultPress servers. Bottom line: The VaultPress plugin connects your site to the VaultPress servers and WordPress optimized backups and security scans will run automatically to protect your site from all vulnerabilities. Yoast SEO is the most downloaded SEO plugin in the WordPress history with over 40 million downloads. Yes, you heard it right. Over 40 million sites are using Yoast SEO plugin to optimize their content. It’s a simple to use optimization plugin that allows you to optimize your content for your targeted keywords effortlessly. Here are some of the features of this great premium WordPress plugin. Note that, the following features are only available for Yoast SEO premium users and not for free version. With Yoast SEO premium, you can target multiple focus keywords, here’s how it looks like from dashboard. Bottom line: If you want to get more visitors from search engines like Google, Bing etc you need to have access to a proper optimization tool like Yoast. Yoast SEO premium gives you access to great features to boost your overall SEO. Click this link to know why you need to pick Yoast Premium version over its free version. Social Warfare Pro is considered as one of the ultimate premium WordPress plugins. This is a great plugin if you want to increase your social shares and traffic. It allows you to add beautifully designed social media buttons within your posts (anywhere you want, top or bottom of the post, left or right side of your content). The great thing about using this plugin is that it was developed by keeping performance in mind. That means, it doesn’t slow down your site at all (unlike other social sharing plugins). Here are the features of using Social Warfare Pro premium WordPress plugin. Note that, you don’t get any of the following features with its free version. Also allows you to recover all the social share counts when switching permalink structures or going from HTTP to HTTPS protocol. Bottom line: If you want to boost your social shares with a beautifully designed and lightening fast social sharing plugin, Social Warfare Pro is for you. Sumo are one of the widely used tools created by WordPress experts for WordPress users. Their tools are used by over 600,000 websites worldwide. Although their free tools are enough for most side projects or new sites but their premium version gives you access to a ton more incredible features that are worth paying for. Bottom line: Sumo tools are must if you’re running a WordPress site. They give you access to everything from email marketing to social sharing to heatmaps to growing your traffic. Thrive Leads is a premium WordPress plugin created to boost your email subscribers by giving you access to a variety of features including 2-step optin form, exit intent popups, A/B testing etc. Price: A one-time fee of $67, which includes lifetime updates. Bottom line: If you want to quadruple your email list really quickly, you need a premium WordPress list building plugin like Thrive Leads. Do you want to convert abandoning visitors into email subscribers? Then, give a try to OptinMonster developed by WP Beginner (#1 WordPress tutorial based blog) which gives you access to superior exit intent technology to grow your email list. Bottom line: This incredible email list building premium WordPress plugin is used by over 600,0000 users worldwide and perfect for those who want to turn their abandon visitors into subscribers. Getting star ratings in Google rich snippets has been never easier with this plugin. It’s premium version is what I use here at Bloggers Passion and works like a charm to get star ratings for the affiliate products you promote through your blogs in search results. Bottom line: A must have plugin for every blogger who promotes affiliate products which helps you with star ratings for the products in Google search rich snippets. It is a website builder that allows you to build stunning website design by giving you access to drag and drop editor. Even if you’re not a tech savvy, you can turn your ideas into great WordPress design with their interface. Here are some of the features of this amazing premium WordPress plugin. Bottom line: This is an awesome paid WordPress tool that easily converts your most advanced technical and visual requirements into a working website. That means, even if you don’t have any technical skills, you can turn your site however you want. If you’re looking for a robust and easy to use premium WordPress plugin to create membership sites easily, MemberPress is for you. Here are the benefits of using this plugin. Bottom line: This premium WordPress plugin will help you to instantly start charging your users for access to your content and it is used by thousands of online course creators worldwide. BackupBuddy developed by iThemes is the most used backup premium WordPress plugins which is currently used by over half a million users worldwide. Here are the features of the basic plan from BackupBuddy. Scheduled Backups: you can schedule backups to run automatically. Off-site Backups: you can automatically send your backups off-site to BackupBuddy Stash, Dropbox, Amazon S3, Rackspace Cloud, an FTP server, or your email. Bottom line: If you want to backup your entire WordPress site (along with files, databases, images etc), BackupBuddy is the best premium WordPress plugin available on the web right now. If you want to build powerful contact forms anywhere on your website with a ton of amazing features like conditional logic, multi-page forms, unlimited entries etc Gravity Forms can be right choice for your WordPress site needs. It’s not only used by WordPress experts but also highly recommended premium WordPress plugins to create stunning contact forms. Gravity Forms provides you the following benefits. Bottom line: Creating a contact form has never been easier with Gravity Forms. Although it’s a premium WordPress plugin to create contact forms but gives you access to customize your contact form however you want by fighting against spam in a better way. This is a solid premium security WordPress plugin to fight against vulnerable threats that can harm your site. If you want to safeguard your WordPress site against all the security threats, you can consider using this incredible plugin. Bottom line: This is a great security plugin for WordPress sites that allows you to limit the login attempts, backups, hiding login pages and many more. Are you running a website that’s promoting Amazon affiliate products? If yes, this plugin is timesaver for you. This amazing plugin makes adding and managing affiliate links so much faster and easier. You can easily control your affiliate links through website defaults or on an individual link by link basis. You can easily set links to open in a new window when clicked, apply a nofollow attribute and customize your affiliate links from Amazon according to your SEO needs. Bottom line: If you’re promoting Amazon affiliate products and finding it really hard to cloak your links and boost your Amazon sales, this plugin is a must. If you’re running photography or videography related website or if you want to showcase photo and video galleries on your site, this ultimate premium WordPress plugin is for you. Here are the features of this premium WordPress plugin. Bottom line: This is one of the best premium WordPress gallery plugins to display your photo and video galleries without any hassle. You can password protect, add slideshows, use drag and drop builder to display your galleries however you want. Do you want to create beautifully design sliders to showcase your email optin forms, blog posts or important information on your sites easily? Then, give a try to this premium WordPress plugin to create great sliders within seconds. Here are the features of this plugin. Bottom line: This plugin is for suitable for photographers, designers, bloggers, and small businesses to display sliders within seconds. No coding required. To secure your WordPress site, you don’t need a WordPress security expert who literally charges thousands of dollars per project. 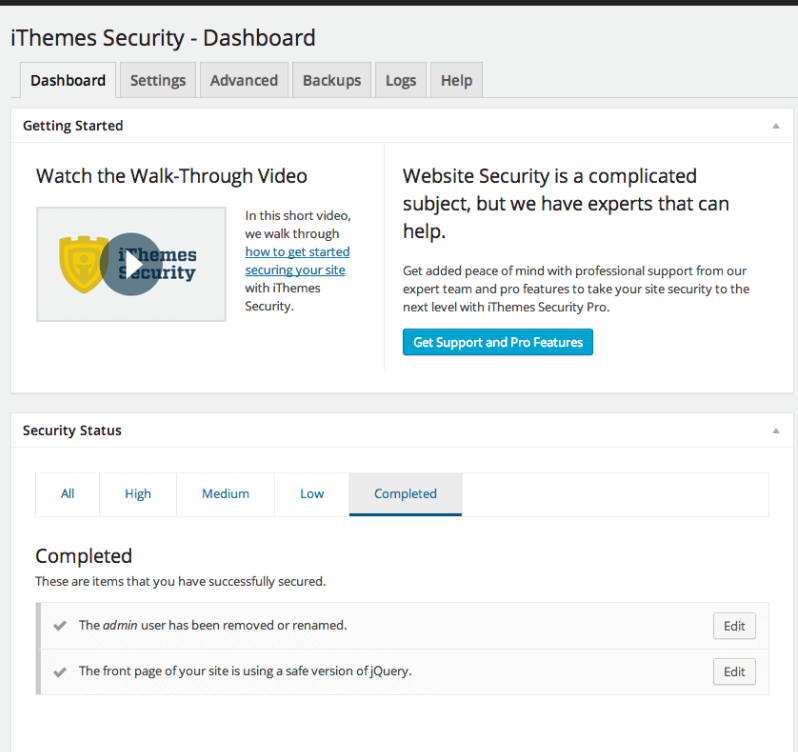 With the help of iThemes security pro WordPress plugin, you can easily protect your site from hacking, viruses and all the other serious vulnerabilities. This premium WordPress plugin is made by iThemes team and it is considered as one of the widely preferred security plugins for WordPress sites. Here are the awesome features that you get with this premium WordPress security plugin. Bottom line: This is an essential premium security WordPress plugin to secure your site from all the hacking related threats. Even if you’re not a tech savvy, just install the plugin and it will take care of everything else. OIO publisher Plugin is an ad manager plugin for WordPress sites. If your blog or website is using ads to generate money, this plugin is a gift for you. It’s the most flexible plugin to sell all forms of text ads, banner ads, and paid reviews on your WordPress sites. Bottom line: If you own a WordPress blog and don’t know how to manage different advertising spaces on your blog, OIO Publisher Plugin can help you with the same. After installing OIO Publisher plugin into your WordPress blog, you will have full control over different advertising options you selling to advertisers. Searching for easy ways to create and manage a review site? Use WP reviews plugin and it saves your time and money. You can use WP Reviews plugin to create full-fledged review websites on restaurants, hotels, web hosts, real estate, computer software or any topic you can think of. Bottom line: This Premium plugin is compatible with all WordPress Themes; no technical skills required from your end. This plugin can be used to convert any existing WordPress blog into review website around any product or service where we used to earn commissions while working as an affiliate for different vendors. Comments Plus Plugin allows you blog readers to make comments through their Facebook, Twitter and WordPress IDs. Comments Plus plugin is compatible with all the latest versions of WordPress, it’s cross browser tested and search engine optimized so you don’t have worry about anything else. Bottom line: If you’re looking for ways to increase your blog comments, Comments+ can be a great choice for WordPress users as it allows your commenters to leave comments on your blog in multiple ways. Before buying any one of the premium WordPress plugins from the above list, know your blogging needs. Only then decide about the plugins you want to use, also find out if there are alternatives available. After all, we all want to save money to build a successful website online. The tools and plugins mentioned in this article has few affiliate links, that means I earn a small commission when you purchase using them. In case you feel I’ve missed few premium WordPress Plugins that should have been in this list, share in the comments section below. A useful post to read. WordPress has this advantage to add excellent features to our blogs using different plugins. While many plugins are free, many bloggers prefer to use paid plugins because they offer such unique features which can make our jobs easy. I have confusion in the Term “Auto Blogging” with WP Robot Plugin. Is it SEO friendly? And can i use WP review plugin for my Amazon Affiliate Marketing Blog?